Experience safe, effective relief from back and neck pain. Is bothersome back and neck pain impacting your quality of life and limiting your ability to participate in all the activities you enjoy? You don’t have to let pain sideline you. 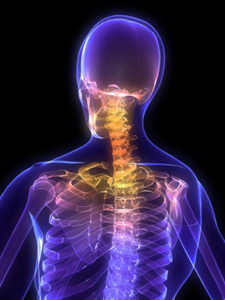 We provide a variety of effective chiropractic techniques to decrease pain and increase function. When you have neck pain, you’re likely to experience muscle tightness and spasms along with the inability to move your head easily. Some of the causes of back pain include fibromyalgia, arthritis of the spine, and sprains or strains due to twisting or lifting heavy objects. The good news is that, through safe and natural chiropractic care, you can experience lasting relief from your neck and back pain. You don’t have to let back and neck pain sideline you. Get back in the game with natural and effective chiropractic care. Contact us today to schedule an appointment!